A certified organic conditioner made with Rosemary, Bergamot, Palmarosa and Pracixi oil to protect and soothe while deeply conditioning the hair to leave it soft, shiny and healthy-looking. The natural conditioner is not tested on animals and is free from parabens, SLS and other irritating chemical ingredients. 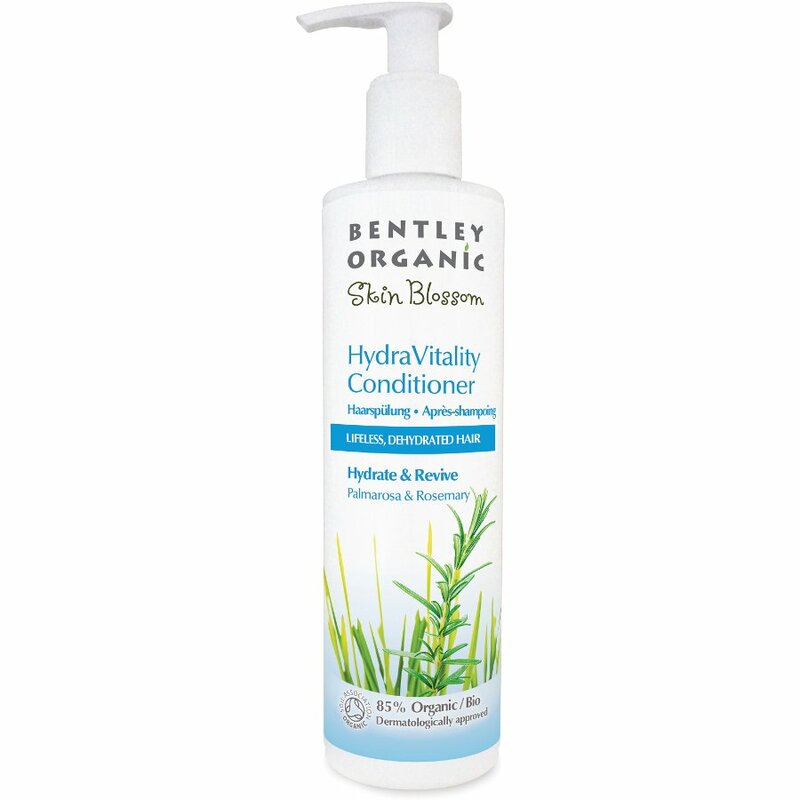 The Bentley Organic Skin Blossom Complete Care Conditioner - 300ml product ethics are indicated below. To learn more about these product ethics and to see related products, follow the links below. Again need very little for fine hair to look good. Skin Blossom skincare has been specially formulated to nourish and care for your skin. Developed using organically produced, skin friendly ingredients, this gorgeous range is free from artificial colours and fragrances, hydrogenated oils and GM ingredients. The creators of the Skin Blossom collection wanted to make a range that cares about you, and the environment. These eco-friendly products are biodegradable, and each of the containers is fully recyclable. Their range is Soil Association certified, totally free from animal testing, and registered with the Vegan Society. To see more Soil Association Certified skin and beauty products click here.